Fort De Soto is located in the southwest corner of Mullet Key, at the entrance to Tampa Bay. The entire island is now Fort De Soto Park, a Pinellas county park which offers fine beaches, fishing, nature trails, camping, boating, and much more. Click here for a map of the area, and driving directions. Use the controls at the top, left side of the map to zoom and alter the view. This isn't an official website for Fort De Soto Park. It was first created in the 1990's, in the days when Pinellas county had barely heard of things like the Internet and websites. Many people have found this site to be interesting and helpful, so the site lives on. 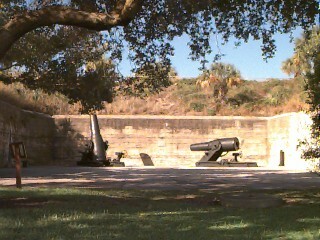 Fort De Soto has the only four 12-inch seacoast rifled mortars (model 1890 mounted on 1896 carriages) in the continental United States. Also at the fort are two 6-inch Armstrong rapid-fire rifled guns (model 1898) which were originally mounted at Fort Dade, and are the last two guns of that model year in the United States. Ironically, Fort De Soto was never the site of any major battle, and the weapons of Fort De Soto and Fort Dade were never fired in anger at an enemy. 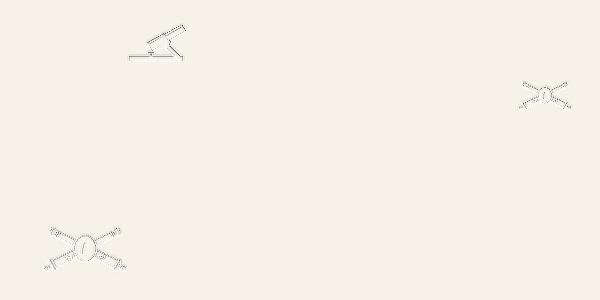 However, it played a significant part in the evolution of modern weaponry. In 1977 Fort De Soto was added to the National Register of Historic Places. Take a walk along the southwest tip of the island where the post buildings were located, or climb to the top of Battery Laidley and look out over the area. Imagine the area at the turn of the century and think of the hardships the troops faced-- mosquitoes, heat, and isolation. Starting in 2012, a daily parking fee of $5.00 is being collected at the Fort De Soto Park at the welcome station. If you have a valid Disabled Parking Permit/Tag, you are not required to pay the fee. You do not need to be parked in a marked handicapped space as long as permit is displayed. People who enter the park on foot or on bicycle do not need a pass. Annual passes are available at the Fort De Soto Park Administration Office. Price is $75, Seniors $55, Limited Income, $37.50. Volunteers who complete 100 hours of volunteer service can get a free annual pass.